Nagarjuns's Letter to King Gautamiputra is a concise and comprehensive explanation of the fundamentals of the Buddha's teaching and of the Buddhist path to liberation. Written by the renowned sage Nagarjuna for his friend and patron Gautamiputra the then King of Andhra in the South of India, the work which contains one hundred and twentythree verses achieved great popularity first in India and then in Tibet. 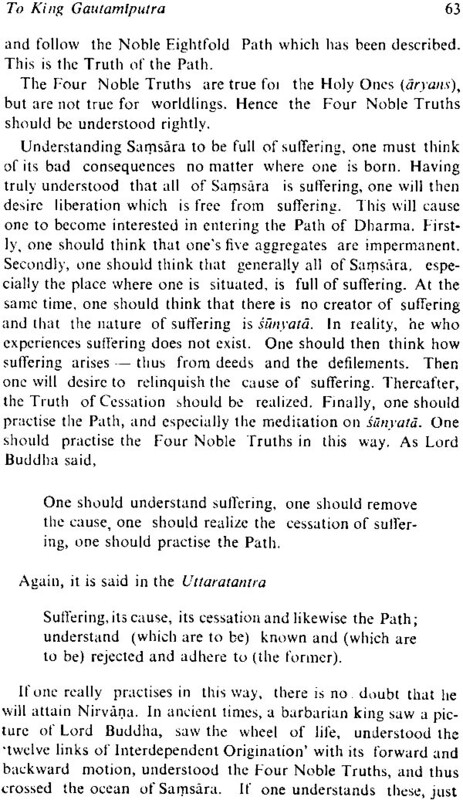 Though the Sanskrit original of the work is lost, the present English translation has been made from the Tibetan version preserved in the Tibetan collection. Explanatory notes based on three authoritative Tibetan commentaries have been added to the text. 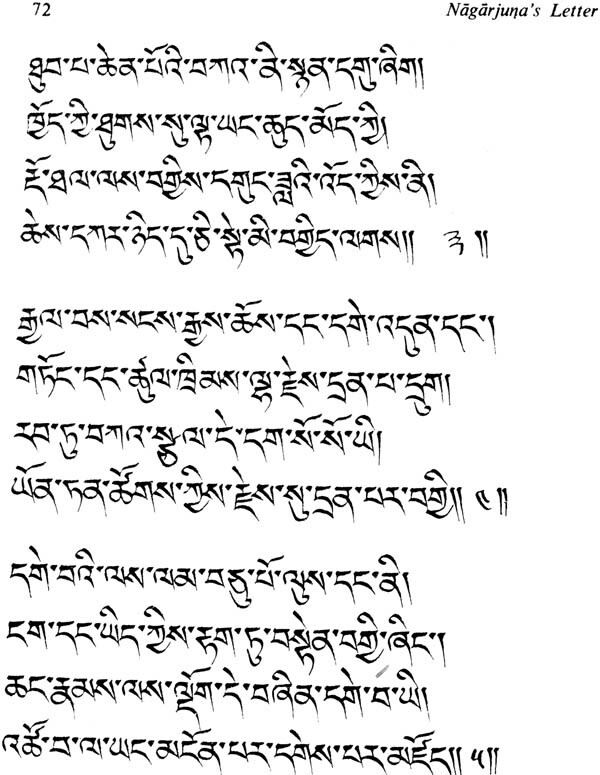 The Tibetan text of the verses of Nagarjuna's letter is also included to assist students and scholars who wish to consult the Tibetan version. serves as a concise and comprehensive manual of instruction in the doctrine and practice of Buddhist religion and philosophy.